A battle for the ages? Batman v Superman: Dawn of Justice is the sequel to Zack Snyder's Man of Steel (2013) and picks up some 18 months after the massive destruction in Metropolis at the hands of Kryptonian General Zod and his invading alien ships. At the end that film the freshman superhero Superman (Henry Cavill) defeats Zod. This film introduces Bruce Wayne, the seasoned superhero Batman (Ben Affleck), into the Superman story line. He witnessed the devastation of the battle and its tremendous cost of human life and is left deeply distrusting Superman equating him with the various costumed villains he'd spent the last twenty years fighting in Gotham City (which is conveniently located across the bay from Metropolis). Bruce Wayne is not alone in his worries about Superman. US Senator June Finch (Holly Hunter) is suspicious of his great powers and wishes to find a way to put Superman on a short leash. 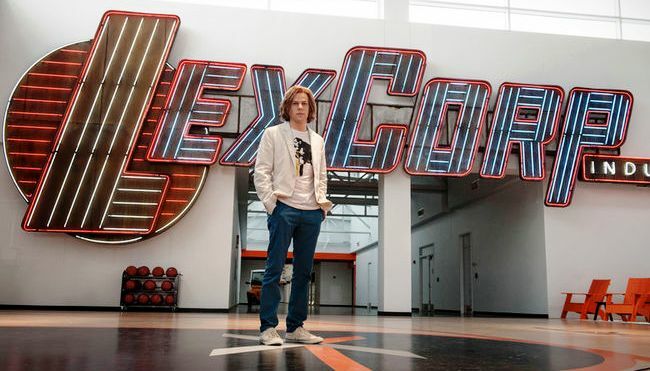 Lex Luthor (Jesse Eisenberg), a billionaire tech mogul and philanthropist, is envious of Superman's power while at the same time hates him for possessing those same god-like powers. Between these two, and other individuals who experienced tragic loss in the destruction of Metropolis, Superman has enemies. As Superman deals with his new role in the world as both a superhero and target of scorn, the detective work of Bruce Wayne/Batman reveals Superman is not alone—there are more superheroes emerging and being uncovered, like the glamorous Diane Prince/Wonder Woman (Gal Gadot). 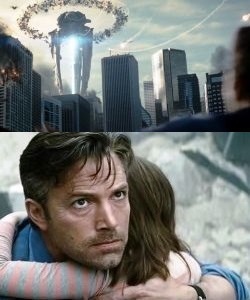 By the end of the film suspicion and distrust must be set aside so that Batman, Superman and Wonder Woman can fight an increasingly unhinged and dangerous Lex Luthor and his Doomsday monster he created in the belly of one of the alien ships confiscated by the US military after the death of General Zod in Man of Steel. It’s hard to talk about the religious aspects of films like Batman v Superman: Dawn of Justice without spoilers, so if this film is still on the docket for viewing it may be best to return here after seeing it as the rest of the review contains major spoilers. Christian faith is a significant part of this film as it is set in a world where people pray in moments of impending doom, cross themselves in remembrance of their baptism, and call on God for help. But as in life not everyone is happy with God. Lex Luthor is an angry atheist. He hates God, because as he puts it, "God is tribal, God takes sides! If God is all-powerful He cannot be good, if God is good He cannot be all-powerful!" This hatred is based on Luthor’s abuse by his father and his belief that his prayers for protection and help had gone unanswered. Essentially, this is a personalization of the question, "Why is there suffering and evil in the world if God is good and all powerful?" Luthor, unable to fight God, lashes out at the closest thing to God he can find: Superman. He takes constant jabs at Superman with comments like, "Devils don't come from hell beneath us. They come from the sky." It is Luthor pulling the strings in the background using Bruce Wayne's distrust of Superman to pit the two superheroes against each other. Clark Kent, Superman's journalist alter ego, is likewise fixated on Batman thinking him to be a spiteful vigilante who abuses civil liberties in Gotham City. In Luthor’s world Batman v Superman is a "black and blue, fight night: The greatest gladiator match in the history of the world. God versus man. Day versus night! Son of Krypton versus Bat of Gotham!" If either dies in the match up, Luthor would consider it a victory to expose Superman as a false idol. Prior to releasing Man of Steel, the distributors mounted a promotional campaign encouraging pastors to preach sermons equating Superman with Jesus. Batman v Superman: Dawn of Justice takes a large step back from that kind of one-to-one analogy—sort of. At one point during a snippet about Superman on a cable news channel a pundit is heard saying, "What if he's not the Jesus character? What if he's not the devil character? What if he's just a guy trying to do what's right?" Yet by the end of the film Superman has sacrificed himself for the good of mankind, going to his death to defeat the monster Doomsday. After his death there is an image of Superman being lowered from where he died that looks like paintings of Jesus' descent from the cross following His crucifixion. To drive this home, in the background of the destruction, director Snyder places what looks like Christian crosses. 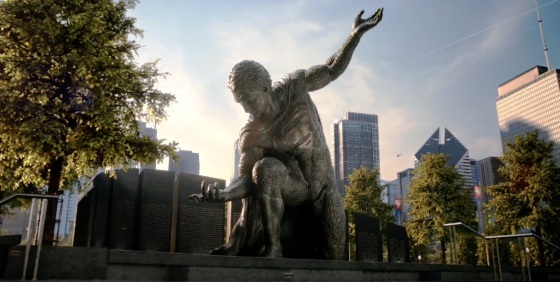 These are plainly visible giving viewers a Good Friday visual to accompany Superman's death. Following this dramatic death, the hero Superman has an empty casket state funeral with a twenty-one-gun salute while Clark Kent has a relatively modest burial at his family farm in Kansas attended by his mother Martha Kent (Diane Lane), his girlfriend and fellow journalist Lois Lane (Amy Adams), along with his new-found friends Bruce Wayne/Batman and Diane Prince/Wonder Woman. The final frames of the film indicate what DC Comic fans know: Superman will not remain in the tomb but will rise to fight another day. Releasing this movie on the Easter weekend while distancing themselves from the Jesus/Superman analogy is like trying to "have your cake and eat it too." Which is it? Snyder and the marketing team didn’t accidently release Batman v Superman: Dawn of Justice during Holy Week just like they didn’t accidently release Man of Steel, a film about son’s and fathers, on the Father’s Day weekend. The movie itself maintains DC Comics’ general direction; it is dark and brooding and at 151minutes its pace is leisurely and deliberate. 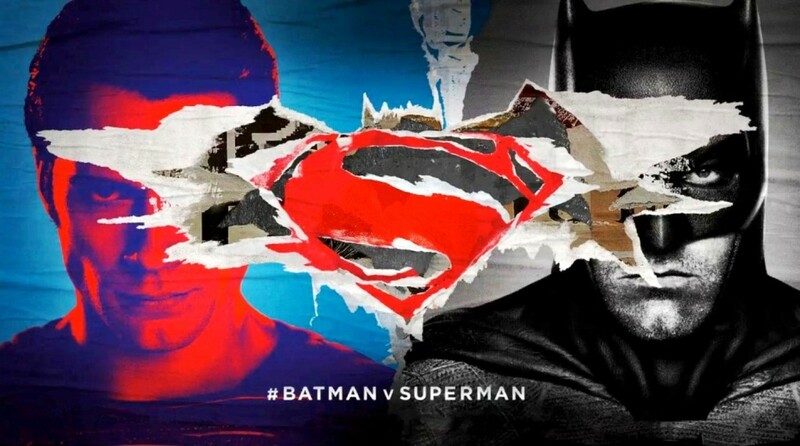 While Batman v Superman: Dawn of Justice is a superhero film it’s very different from the plethora of recent light and colourful, joke-laden MARVEL Studio films like Ant-Man (2015) and Guardians of the Galaxy (2014). In terms of acting, Ben Affleck is entertaining as Wayne/Batman. He brings something of a moral compass to the film even while his character is in danger of breaking apart and turning into the villain he suspects Superman of being deep down inside. Alfred (Jeremy Irons), Wayne’s butler, warns him about this saying, “The fever, the rage, the feeling of powerlessness that turns good men... cruel.” Henry Cavill’s Superman is more textured with the added feeling of failure that carries over from the aftermath of the Man of Steel climax. In this film Superman must come to terms with the fact that even if he is lauded as a hero for his actions he will still be unable to help or save everyone as tragedies unfold. The least successful major character is Jesse Eisenberg’s Lex Luthor. While his grinding hatred and covetousness fits the part, his twitchy psychotic behaviour makes him less than believable. Previous iterations of Luthor have been more cold and calculating and much more hands-off in their villainy. Will audiences like this heavy, darker take on Superman? This is certainly not the lighter, brighter style of Christopher Reeves or TV’s Smallville. This time around Batman is every bit as dark and foreboding as Christian Bale in Christopher Nolan’s Batman Begins (2005), The Dark Knight (2008) and The Dark Night Rises (2012). Like the MARVEL films, Batman v Superman: Dawn of Justice expects a lot from its viewers by regularly dropping hints and nods to various past comic book series’. The future villain teased in this film is Darkseid, no doubt another alien invader for a future Justice League film and apparently the true “devil from the sky” to which Luthor alludes. Keeping all this in mind, parents should consider watching the film before taking young children. The plot may be hard for them to follow and the subject matter is rather dense. Also, as mentioned before, the overall feel and style of the film is dark and intense. Snyder has delivered a film that is more like being tossed into the deep-end of the pool than wading in the shallows. It really expects viewers to know how to swim. It's hard to recommend this film for people with only a passing interest in Batman or Superman. However, for people who find these characters endlessly fascinating there is plenty to ponder. Snyder has firmly situated his growing franchise in a world where men and women are free to express wrong-headed ideas about humanity and God, and have the freedom to struggle with faith, good and evil, and the nature of hero worship inside a clearly Christian setting. Has Snyder crafted this Christian milieu for virtuous reasons or for the financial payback? Time will tell.